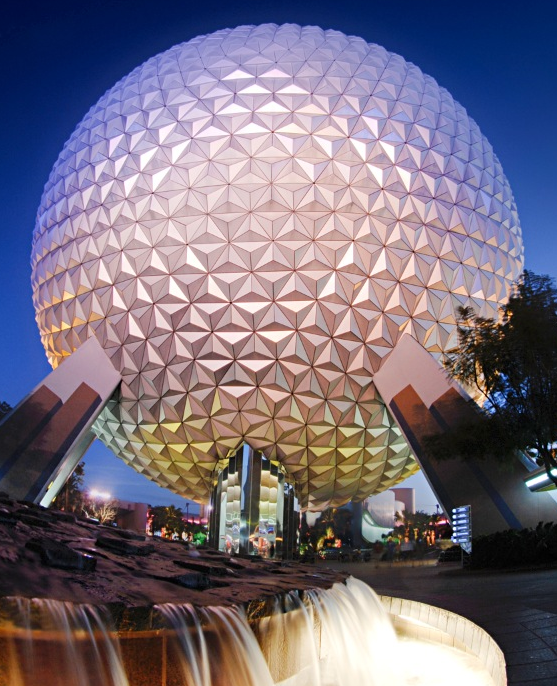 When Epcot first opened in October, 1982, it was thought to be more of an adult-oriented playground especially since it was known for the around-the-world cuisine, shopping and drinking in its 11 nations. Many parents will shy away from bringing children to Epcot out of concern that they would be bored or that nothing was geared to them. 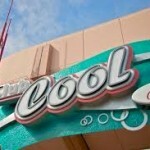 Over the years, Epcot Future World has become the perfect place for all age groups but it is especially educational for the young ones and there are plenty of things for your kids to enjoy. 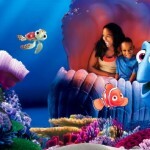 Here are 10 must-see things for your kids to enjoy in the Future World. 1. 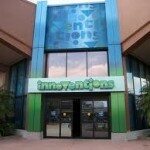 Innoventions East and West – This is a two-building museum like complex that offers hands-on activities for kids of all ages and focuses on taking advanced technologies and applying them to everyday life. Experience the perfect storm in StormStruck, use your math and science skills to design your own thrill ride in The Sum of All Thrills, or learn how to live a greener life and conserve energy within your home at VISION Home. If your kids are gamers, let them play at the VideoGame Playground which offers the latest technologies in the gaming world. 2. Ellen’s Energy Adventure – Travel back in time with Ellen Degeneres and Bill Nye the Science Guy to see life-like dinosaurs and learn how fossil fuels were formed. You will think it is just a regular theater until your seats actually turn into your time machine. 3. 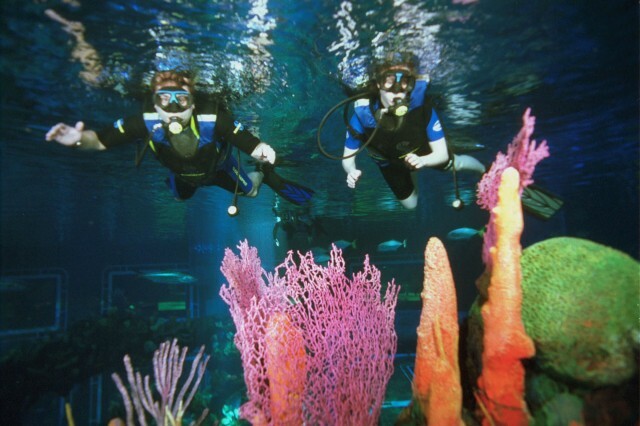 Caribbean Coral Reef Aquarium – One of the largest man-made aquariums in the world, this 5.7 million gallon aquarium is home to over 4,000 wonderful sea creatures. Feedings are usually around 10 am and 3:30 pm and if you time it just right, you will see Mickey Mouse scuba-diving with the sea creatures. 4. Touch, Learn and Play! 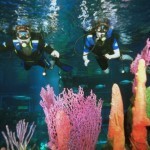 – Let your kids explore life in the deep blue sea or play in the undersea playground at Bruce’s Shark World. This is the perfect spot to take a picture of your child in the mouth of a shark! 5. Living with the Land – Your kids will enjoy the slow-moving cruise through Disney’s state of the art greenhouses and see their innovative growing techniques. Some of the veggies and fruits grown in their greenhouses are used in the food court of Sunshine Seasons or the Garden Grill Restaurant. 6. Garden Grill Restaurant – Enjoy family-style dining in this revolving restaurant with a few of your favorite characters at Chip ’n’ Dales Harvest Feast. 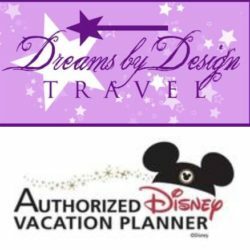 You will meet Chip ’n’ Dale, Mickey Mouse and Pluto as you dine on platters of beef, turkey buttermilk smashed potatoes and fresh veggies grown in the Disney greenhouses. 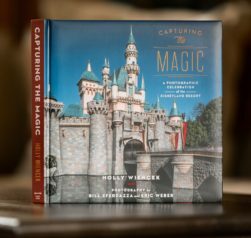 Make sure you bring your cameras and have autograph books on hand for the characters. Oh yeah, don’t forget to look for the Hidden Mickey in the vines on the inner circle of the restaurant. I have to say it was the hardest one I have ever tried to find. 7. 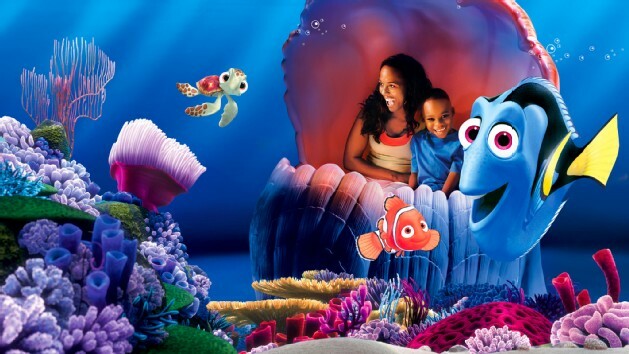 The Seas with Nemo and Friends – Board the cutest “clamobile” under the sea to help Dory and Marlin find that cute little missing clown fish. Travel through colorful coral reefs, sea anemones and those mean old stinging jellies. You will even meet Bruce in his sunken ship and Crush in the EAC with his son Squirt. 8. Turtle Talk with Crush – Enter the Turtle Talk theater and interact with Crush. Everyone’s favorite turtle talks with all the little dudes and dudettes in the “human tank” in this interactive, improvised show – Righteous! No two shows are alike so its always fun to go more than once. It’s totally awesome! 9. Journey Into Imagination with Figment – Climb aboard this fun carriage ride that takes you through Dr. Channing’s sensory labs. Laugh at Figment who steps in an tries to destroy the doctor’s sound experiment and tries to prove that the imagination is a wonderful thing when it is free to go wild. 10. 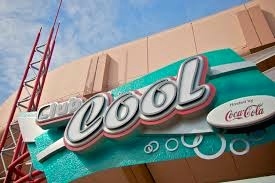 Club Cool – Kids love going to this place to cool off and enjoy soft drinks from around the globe. Sponsored by Coca-Cola, you can help yourself to several different flavors from all over the world. Italy’s “Beverly” is my personal favorite. Ok, it’s really not but I love to see faces of people who try it! My husband and I were a bit nervous that our girls (6 and 8) would be a bit bored at Epcot. The opposite was true. Our oldest daughter actually said it was her favorite park aside from Magic Kingdom. Both girls really got into doing the World Passport, and were eager to take their passport for their class sharing item. 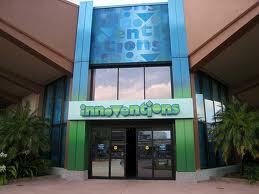 I also think they appreciated a more relaxing day after the hustle and bustle of Universal Studios the prior day.